Spring has sprung! We have been greeted for several days now with warmer temperatures, buds on trees and shrubs, and soon everything will be blooming. It’s a wonderful time of the year. It is a time of renewal and new growth. 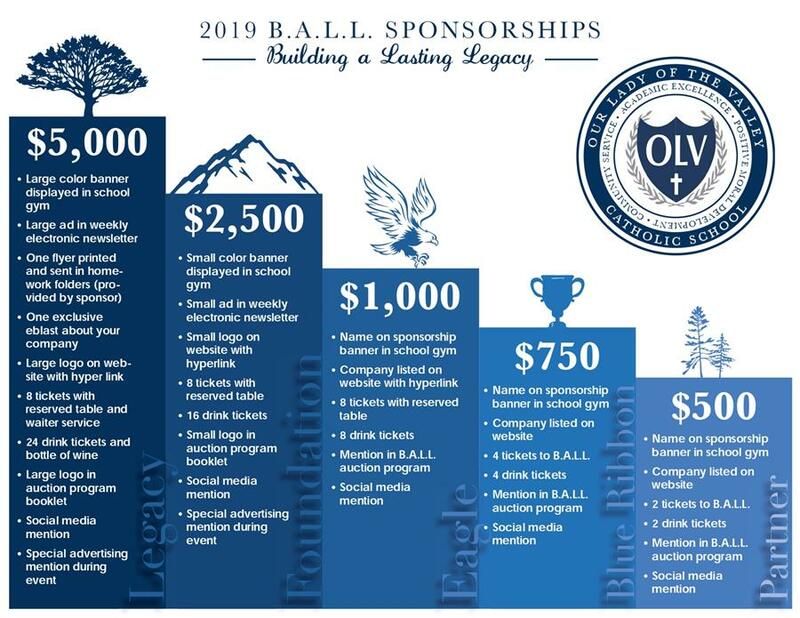 Please join us in Building a Lasting Legacy at the 18th annual OLV B.A.L.L. KENTUCKY DERBY STYLE. 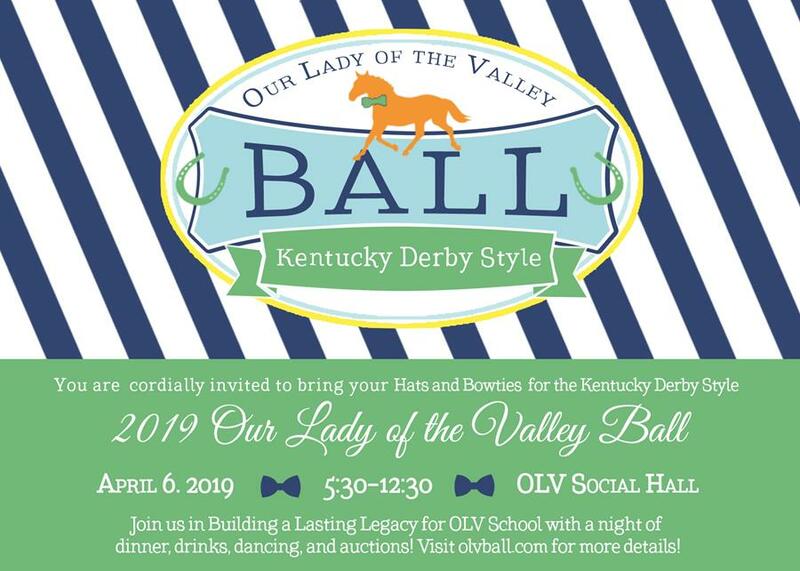 Each year this event, hosted by the Our Lady of the Valley Catholic School PTO, raises funds to directly benefit the children and their educational programs. It is vital to the growth and success of the school. stock up on drawing tickets for a chance to win $2,500! preview auction items & do some early online bidding! NEW this year! 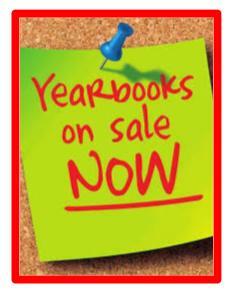 ... purchase an ad to be placed in the yearbook! Ads can be to highlight your child or your business. Click on button to see examples. The 34th Annual Religion Scholars Bowl was held on March 13th at our school. 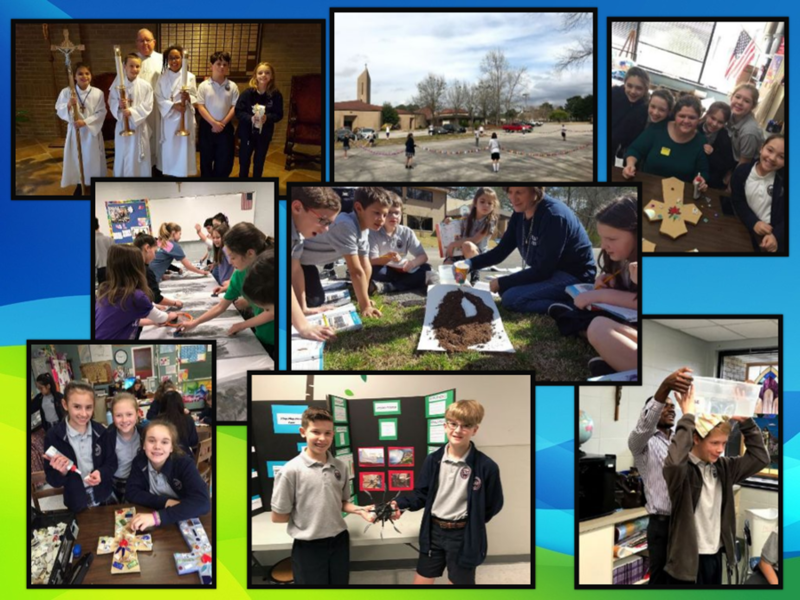 OLV hosted 10 teams from various schools in the Diocese in this friendly competition of knowledge of the Catholic faith. Click the button below to read more about this special event! Come enjoy a special lunch with the main characters before the Sunday show! This package deal includes: full lunch (including some delicious desserts), a special gift for the kids, pictures with lead characters, and preferred seating at the 2:00 show. Elsa & Anna hope to see you there! 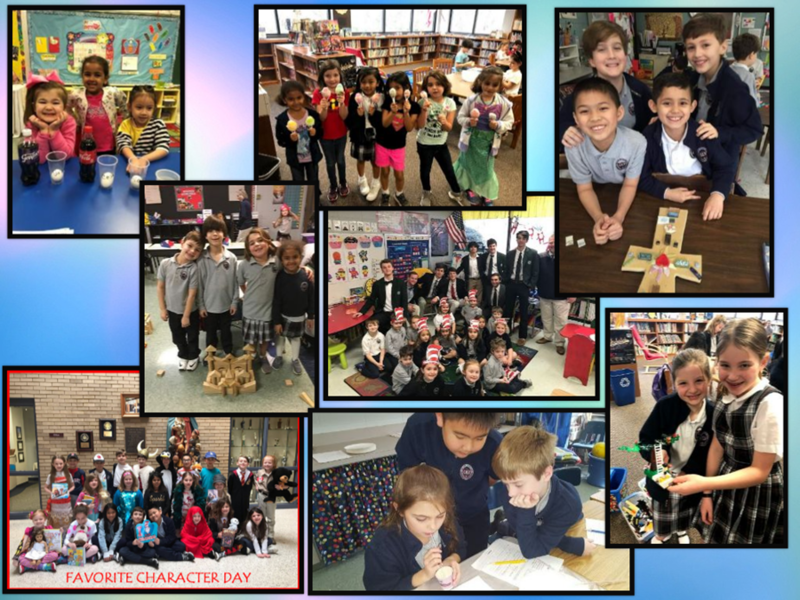 Congratulations to the 2nd graders of our parish on receiving their first Holy Communion on March 3. We pray that you always feel the presence of the Lord as you receive Him in the Eucharist. 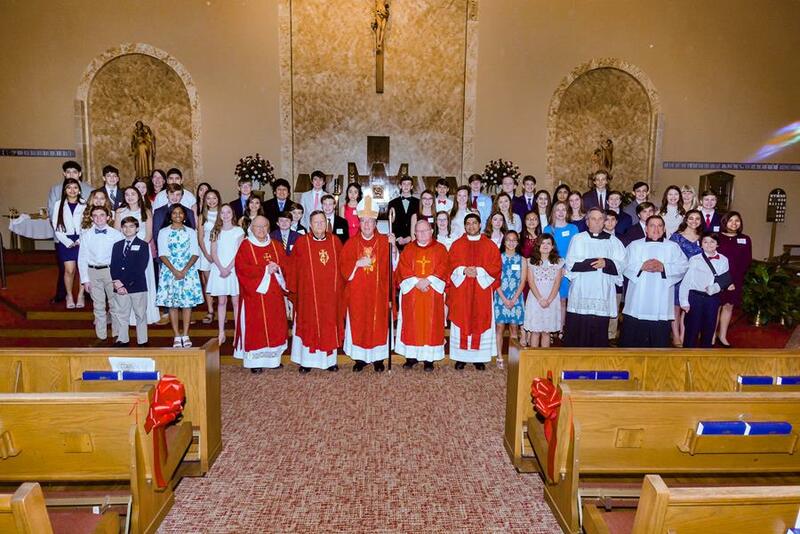 Congratulations also to our 8th graders on their Confirmation. May you always keep the memory of your Confirmation day and may the Holy Spirit continue to be your guide in your life of faith. In February the Student Council ran a Candy Gram fundraiser to help raise money for St. Jude Research Hospital. Students and parents could send in $1.00 to buy a candy gram for another student or their child. Student council then prepared the candy grams and delivered them to all the classes on Valentine's Day. Each student in the school received candy and a special note. The total amount raised was $455.00. All proceeds went directly to St. Jude's. 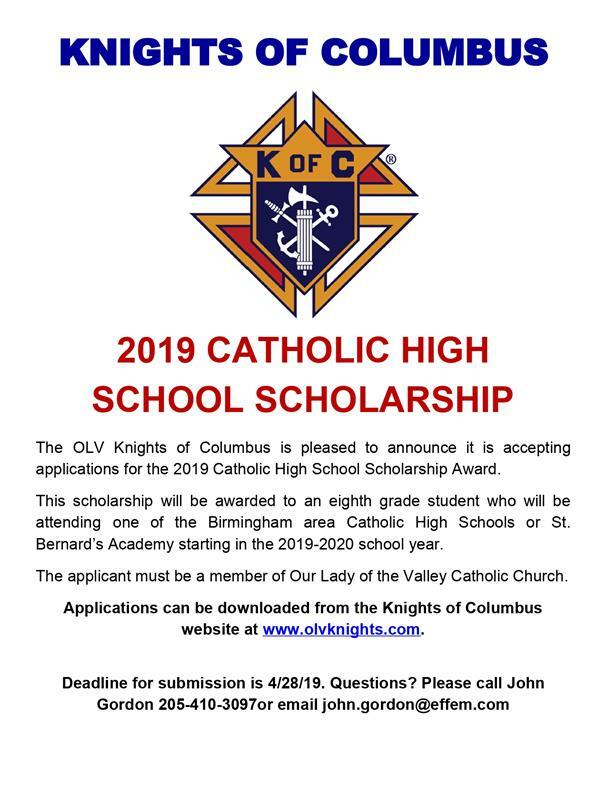 This fundraiser is one that is special to Our Lady of the Valley because of our own Mrs. Hassinger. Mrs. Hassinger has a child that has directly benefited from the excellent care of St. Jude's Hospital. 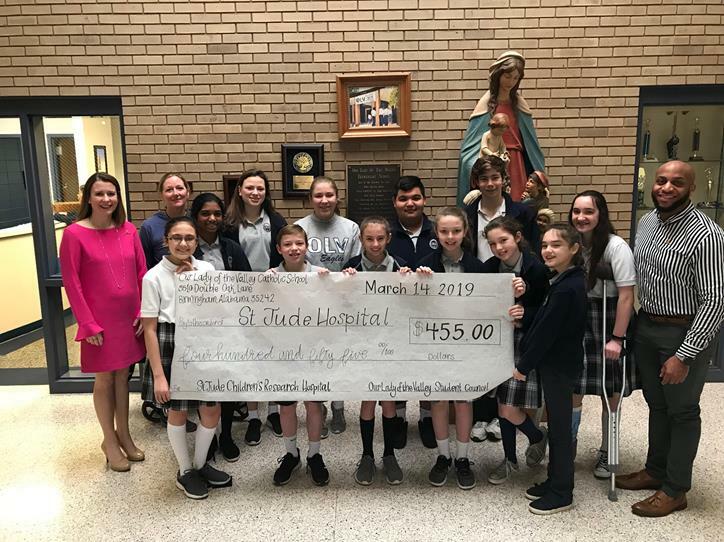 With her help, the members of the Student Council got the opportunity to meet with two representatives from St. Jude's who told the children a little about the hospital. Thank you to everyone who donated to this special cause! Congratulations to all the students, coaches, and mentors of our Science Olympiad team for their great success at the Regional Competition in Tuscaloosa on March 2! 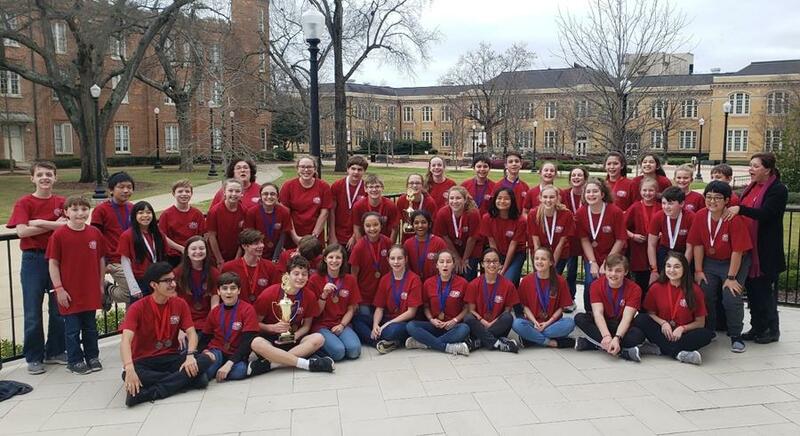 Our teams took 1st and 3rd place overall in an arena of 17 teams from across the state and clinched a spot in the State Competition at Auburn University on March 30. Forty two of our 5th-8th grade students worked countless hours to prepare for this competition, and the hard work and perseverance paid off. Our teams medaled in 17 of the 23 events they competed in, (including some of our youngest 5th grade members)! For a full list of results, click on the button below. Our prayers go out to the team in their upcoming competition and we wish them luck in their quest to qualify for Nationals! Our annual basketball challenge for the 5th-8th grades was a day of fun and fellowship. We are extremely grateful for the volunteers that came out to help! Click the button below for results. Voltuneers are needed for this event. Sign up by clicking on the button below. 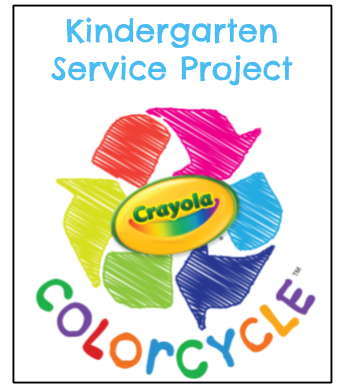 Please help the kindergarten class by sending in your old markers for recycling. Any kind of markers can be sent in, including non-crayola brands, dry erase markers, and highlighters. Drop-off boxes are located outside of the kindergarten room. Thank you for helping us with this service project and reducing the amount of plastics that go to our landfills! On Saturday, May 18th, the Birmingham Zoo will have their 14th Annual Zoo Run. This fun run is perfect for families because it offers something for every age! The 5K course takes you through the zoo, before it is open to the public, which makes for an interesting and fun run or walk. All participants get a free day at zoo and there are discounted tickets for non runners. If you register for the run as a member of the OLV team, you will receive a $5 discount off of registration. Hopefully, we can get a huge team out there representing our wonderful school! Contact P.E. coach Wendy Hassinger at whassinger@olvsch.com for more information. Moms, grab your boys and head out for a special bonding experience. 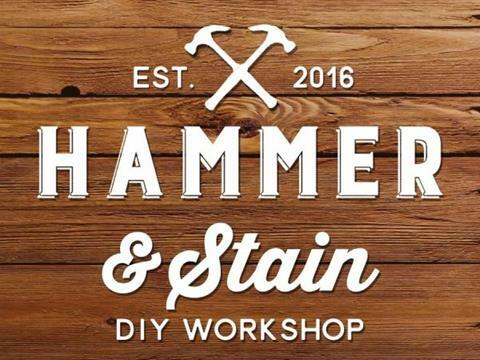 Hammer & Stain Workshop of Birmingham will bring all the supplies for you and your son(s) to make a project to bring home. You must register for this event. Hosted by OLV Cub Scout Pack 71. The New Car Magnets Are In! Show your pride in our school with a new car magnet. 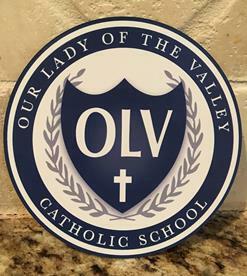 The updated magnet boasts our beautiful new school crest and is available for purchase in the office for just $5. Join fellow OLV parish and school families on a tour of Milan, Venice, Florence and Rome in June 2020! Along with many memorable moments, this incredible trip will include a specially arranged tour of the tomb of St. Peter the Apostle and the Necropolis, and will end in Rome just in time for the start of the Euro 2020 Soccer tournament! 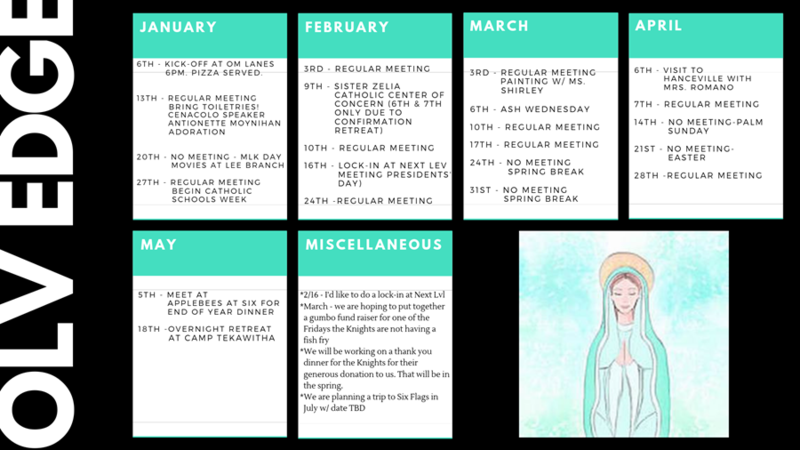 Click on the button below to see a detailed itinerary and learn more about this once-in-a-lifetime opportunity! Only 10 spots remaining! Want to share this with an extended family member? 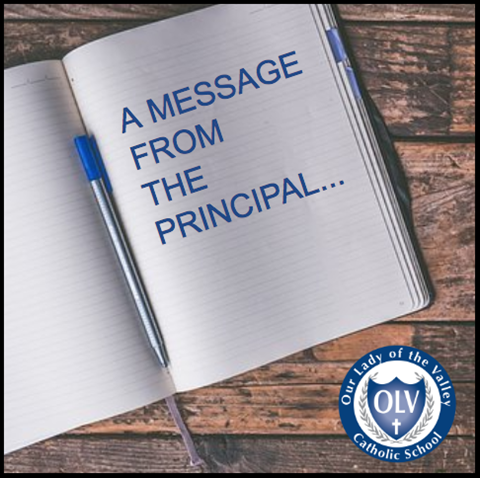 Know an OLV alumnus that might enjoy seeing what OLV is like today? Forward this newsletter to them and tell them to click below & subscribe!